Pepper chicken is a well-known recipe that is popular throughout the world. Pepper chicken is all about the nice blend of spices which gives it a very aromatic and spicy taste. The main spice that is used in this dish is Pepper. Pepper, when used in even in a moderate quantity, can be super-hot. Some may like this hotness to their dishes while some may prefer a lighter version and according to this preference the quantity of pepper should be used in pepper chicken. This recipe can be prepared in many ways. The original recipe has gone various types of modifications depending upon the region where it has been made. It is easy to make and it is a popular dish in restaurants as well. There is not only one particular way to make pepper chicken. Depending on the place where you are at it has got variation. Suppose you are in South India and has ordered a plate of paper chicken. You will find the tamarind added to the dish. Not only does it enhance the flavour of the dish but it also helps on cutting throughout the hotness. In other places, you can also mind yogurt or milk added to the dish. Pepper chicken is all about mixing the right amount of spices. Getting one spice quantity wrong can destroy the dish completely. 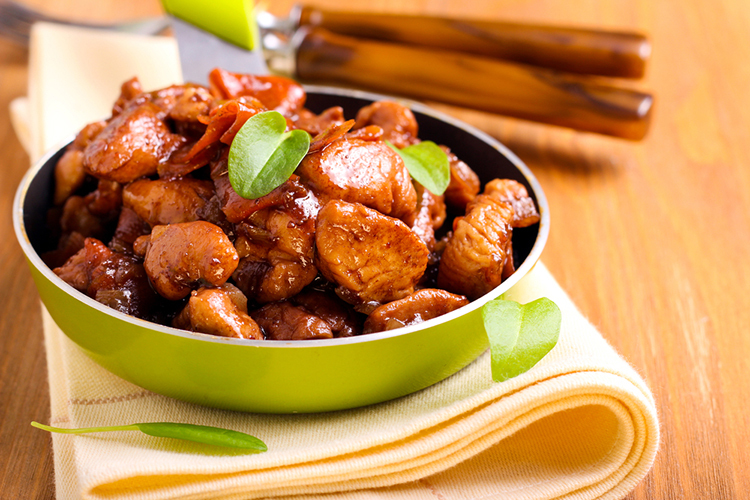 Chicken is the main ingredient of the dish which is very good for our body. It is packed with a protein content that gives our body energy. It is nutritious and tasty at the same time. But since in this dish, there are added spices and oils as well so it should be consumed in limited quantity. Pepper chicken is a party favourite that is loved by all. Be it a social gathering or a small family get together serving this dish is easy since it can be prepared within forty minutes. It can be served along with bread or rice. You can also serve it as a starter dish in any party. For that purpose, you would have to make a drier version of the dish that will not contain much gravy. If you have a spicy taste bud then this dish is absolutely the ideal choice for you. What do restaurateurs​have to say about this dish? It has been proclaimed by many restaurateurs that pepper chicken is a dish that is loved by all. There are certain restaurants that have given it a modern twist by adding many new ingredients to it like certain vegetables to increase the food value quotient of the dish. Pepper chicken is generally ordered with fried rice or any other type of rice dishes and they can also be eaten with varieties of bread. This is a dish that can be prepared within an hour and it is very popular on the menu. Pepper chicken is dish that can be eaten at any time be it lunch or dinner or just as a snack.